Jackie K. White earned her PhD in Creative Writing (poetry) from UIC with concentrations in Latino and Latin American and Women's Studies. 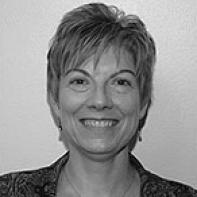 She served for 9 years as an editor with RHINO, and is an associate professor at Lewis University. Her poems and translations have appeared in ACM, Bayou, Folio, Karamu, Natural Bridge, Quarter after Eight, Spoon River, Third Coast, etc. and online at seven corners, shadowbox, and prosepoem.com. Her chapbook Bestiary Charming won the 2006 Anabiosis Press award, and Petal Tearing & Variations was published by Finishing Line in 2008. A third chapbook is forthcoming from Dancing Girl Press. the spill of night into flesh. their bodies glowing bluely in the dark. the body beneath. In the killing jar. to remember when my body was friend. and now this head lives in that sound without body. Last night we watched as our bodies broke free. the black holes bodies leave behind.